Hear the storyteller everyone is talking about. Linda Spitzer, a professional storyteller for more than 25 years, uses her warm, playful, and energetic style of storytelling to bring you her newest folktale programs. Storytelling is not just for kids and Linda proves it. Always articulate, Linda’s incredible character voices dramatize both the comic and profound portrayals of folklore. Linda , with a Master’s Degree in Storytelling from ETSU, is ready to tell stories to any age audience. Don’t miss hearing this unique entertainer. You’ll be glad you did. 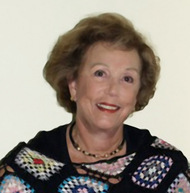 Linda Spitzer can be reached at storybag2@yahoo.com, 561-964-1234 and website www.storyqueen.com. Many other programs available upon request. Three of her stories are published in award-winning Sandspun, Florida Folktales by Florida Storytellers, Pineapple Press 2001.